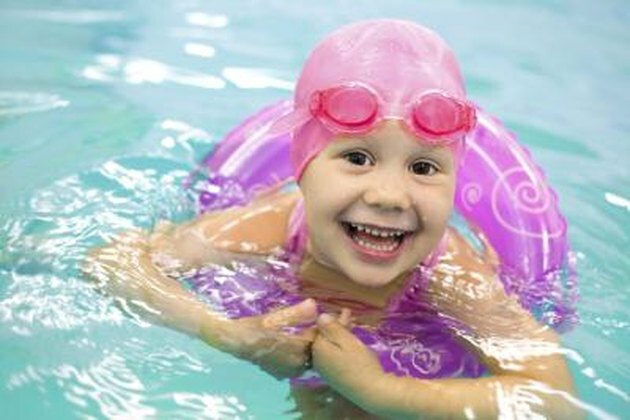 What Are the Benefits of Swimming for Kids? Melissa Hopkins began writing for the Southern Illinois University newspaper in 2000, where she won several awards. After completing her Bachelor of Arts in English from Southern Illinois University in Edwardsville, Hopkins moved to San Diego, where she worked as a stringer for various publications with the Pomerado Newspaper Group. Teaching your child to swim and encouraging him to swim regularly can have significant benefits for both his health and safety. Especially on a hot day, swimming is a way to keep cool while encouraging a healthy level of physical and social activity. Take your kids to indoor pools in the colder months to promote an active lifestyle all year long.Swimming provides a more effective workout than some other activities. According to KidsHealth.org, drowning is the second leading cause of death for people between the ages of 5 and 24. By teaching your child to swim, he will not only become a stronger swimmer, but also gain valuable experience in the water. This experience greatly reduces the risk of an emergency if your child accidentally falls in an unguarded pool or gets pulled into deep water by a rip current at the beach. According to 24 Hour Fitness, swimming is an excellent cardiovascular workout that promotes heart and lung health, improves strength and flexibility, increases stamina and even improves balance and posture. In addition, swimming is a way to prevent childhood obesity, which has been linked to juvenile diabetes, notes the Centers for Disease Control and Prevention. Swimming also puts less strain on joints and connective tissues than other forms of exercise. Encouraging your child to swim can also improve his mental and emotional health. The natural buoyancy of the water is more relaxing than other types of exercise, notes 24 Hour Fitness. In addition, the CDC found that people tend to exercise for longer periods of time while swimming. Swimming can also improve overall mood, and help combat depression, notes the CDC. How Is Swimming Good for Kids? Why Is It Important to Know How to Swim? How to Improve Swimming Times in 11- to 12-Year-Olds?